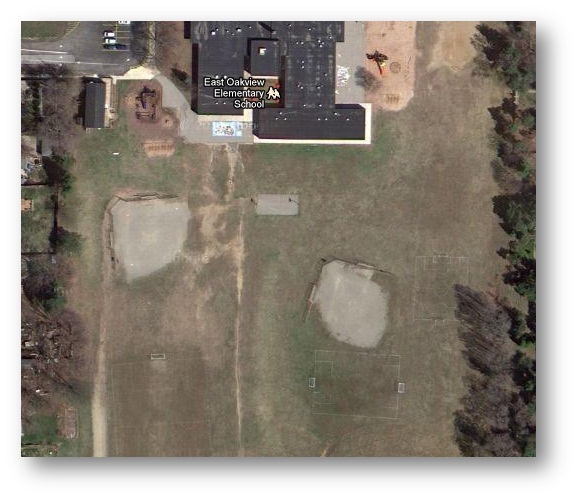 The East Oakview Fields are located behind East Oakview Elementary School at 3940 Suburban Shores NE. Parking is available. There are no bleachers and spectators should bring their own chairs.